So You Want To Practice Zen In Japan? Hello everyone and thank you for participating in the great 2016 True Dharma Eye Exam Fundraiser! I believe I have raised enough money for that pesky eye exam, and possibly for new glasses as well! To be honest, I am really enjoying receiving money right now. It so rarely happens. It feels so nice I am inspired to write another blog post. I have made many wonderful friendships and connections through my blog, and strangers continue to write me with questions. Sometimes men send me poetry or overly detailed descriptions of their heart sutra tattoos, which is lovely and endearing depending on the person. But actually the all-time most popular email I receive is people writing to ask me for recommendations on where to practice Zen in Japan. In the two years or so I have been writing this blog, I have received about ten or fifteen of these emails and responded to exactly zero. One woman asked me about practicing at Nisodo specifically, and I did respond to her because she was a Zen priest and obviously very sincere and experienced, but I do not ever answer requests for general recommendations. There are a few reasons for this. One is, when someone writes asking for a recommendation on where to practice Zen in Japan, my immediate impulse is to want to ask that person, "Have you read my blog?" People say my blog is pretty good. I'm sure if you are contacting me through my blog, you must know it exists, right? And maybe if you read my blog closely, you would see that mostly what I write about are my struggles with the abuse and sexism and xenophobia and repetitive work that makes up so much of Japanese Zen training. I am honestly not sure I can "recommend" training in Japan. I appreciate and am so grateful for my time in Japan, but a big part of why it worked was a) luck and b) iron-willed stubbornness to never ever ever quit and c) my teachers. When people write me for recommendations, they are often people who will be on vacation in Japan and want to practice for a very short time, say a week or so, and have some kind of "Zen experience." I understand this impulse. "Zen" is beautiful and weird and Japanese incense smells really nice. But to these people, I would like to say that one week is in no way enough time to begin to scratch the surface of what Japanese training is about. I left Japan after six years and many people consider this to be insufficient training. During the course of one week, you will spend most of your time in confusion, pain, or both. I would respectfully recommend that you could receive a similar, Japanese "Zen experience" by staying in your home country and doing the following things. I am being completely honest and sincere in my belief that-- given a week's time-- the following things will be cheaper, more fun, and just as conducive to a "Zen experience" (by "Zen" I of course mean some undefined, vaguely Japanese, minimalist aesthetic impulse which may or may not correlate with transformative dharma practice). By the way, I have just described my dream Saturday night!!! The reason I do not leap to recommend practice in Japan is that zazen opportunities for lay people are very limited. Mostly who train at monasteries are monks and nuns, because "monasteries" are really special training facilities for ordained clergy, much like our Western seminaries. 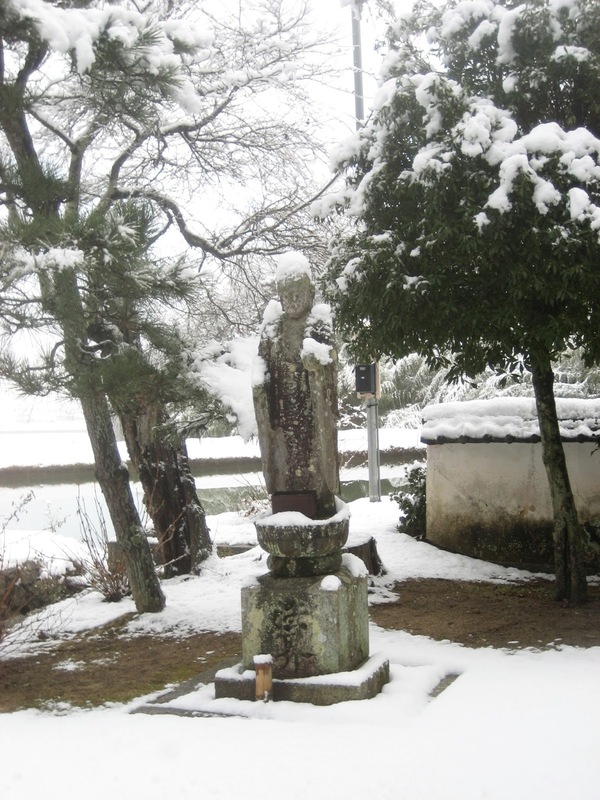 Japanese laity's connection with Zen is primarily through funerals, memorials, and visiting temples as tourists. Contemporary Japan is very secular and materialistic-- like contemporary America but without the history of hippie and feminist movements, and with a history of rapid, some could say excessive modernization to avoid being colonized. So as a lay person, you will not be able to find the kind of accessible, drop in meditation retreats that we are used to in the West. 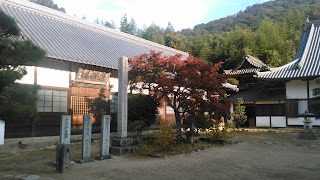 Many of these temples probably accept lay people as well, for a limited time. What I will say about practice in Japan is that the monastic model offers a container that is more intensely focused, stricter, and concentrated for a longer period of time than anything I have found in the West. Japanese monastic training doesn't just value celibacy and poverty; it creates those conditions, and these are powerful training tools, as difficult as they are. I have never done a practice period at Tassajara, but I imagine it might approximate something in Japan. Except for the men. Curse those American men! If you are daunted by the possibility of calling up a temple in Japan and speaking Japanese to a stranger on the other end of the line, I can assure you: your confusion and fear are valid and will only increase. You know how psychologists say that anger is a "signal" that something in your system or the environment is not right? It's the same with the confusion and fear around not speaking Japanese. LISTEN TO YOUR EMOTIONS. They are holy signals. And then study Japanese intensely for several years. If you don't, your practice in Japan will be fraught with constant miscommunication and confusion. I didn't study Japanese before coming to Japan because I never planned on staying. I only stayed because I met my teacher and was completely overcome by his kindness, generosity, and dedication to his spiritual practice. He dressed and ate simply. He spoke to everyone he met in a polite and level tone of voice. When I met Aoyama Roshi I was similarly impressed by her strength, intelligence, dedication, and spiritual excellence. My practice came about and was able to grow because of them, not because of Japan. Ultimately, the quality of your practice will depend more on you (and maybe your teacher) than your country. This is why they say, "In the Way there are no Northern or Southern ancestors." There is true dharma practice going on all over the place at many centers and monasteries in the West. It is in no way confined to the Zen school. If I could start all over again I would practice with Lama Tsultrum Allione or some other badass female Tibetan teacher in America. At this point, there are several Western priests who trained extensively in Japan and received transmission from real, live Japanese people. Some of the ones I've met (or at least talked to) and liked are Koun Franz (Nova Scotia), Konin Cardenas (New York), Brad Warner (Los Angeles), Ejo McMullen (Eugene, Oregon), and Tenku Ruff, to name a very few. Oh, and I guess me, but in order to deserve a hyperlink I think you have to be older than an age which rhymes with "denty sign." If you are unsatisfied with American teachers, or if you have completed my Dream Saturday Night Itinerary and are still hankering for more Japanese Zen, I would like to suggest that what you are really seeking is yourself. You are seeking some intimacy with yourself. I don't really have an answer for you, because my answer is my own, but I suspect that whether you go to Japan or stay in America, your spiritual path will require time, silence, and failure. There will be so much failure that hopefully, you will come to love the failure. You will come to love the failure as much as you come to love yourself. You will make a life out of time and silence and failure and maybe even write about it on the internet, and then strangers will email you asking for recommendations on where to practice in Japan. You will throw your hands up in the air because it seems cruel to wish failure on anyone, even when you know that failure is precious, even when you know that your suffering is your capital. I don't want to discourage seeking. Go! Seek! Plumb the depths! Exhaust yourself in wholehearted effort! Click on some of those links above. Or not. But be realistic. Wherever you chose to practice, do it wholeheartedly, with kindness and humility and perseverance. Gesshin, thanks so much for another heart-felt post. You sure moved back to this country at an interesting time?!? Your true wit and honest sentiments are so valuable for all of us on this path. Have you considered gathering all your posts into a book? Your voice is sorely needed in a sea of path that, despite many women holding key positions in several zen centers in this country, I still go to my center (Upaya) and ask "Where are all the women priests?" Roshi Joan may be a pioneer seeking gender parity but,(with all due respect) there are still only men zen priests (save 1 who visits from the Netherlands)and men leading the sesshins this year (not counting Roshi). Anyhow, your voice is clear and honest and I would love to read such a book! Besides this great idea I have for you...I hope you get your glasses soon. Good luck with sowing another okesa. Keep writing. 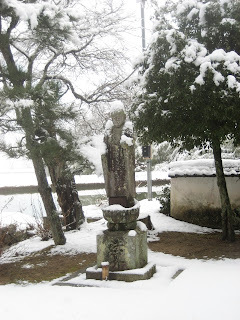 In Ruth Ozeki's "Tale For the Time Being", the character Nao says, "Zazen is better than a home. Zen is a home that you can't ever lose." Gesshin-san, thanks for the shout out and for writing authentically. I also stayed in Japan, for the better part of two years, because of my teacher. I felt it was important to practice in the way he deemed best. It was challenging and inspiring and ego-breaking and heart-breaking, and my lack of language skills made everything three times harder. At first I thought that it was a more inwardly focused practice at Hosshinji than at SFZC. Then I realized that it wasn't inward or outward, but just constant practice, and that's what I was interested in. It's still true for me, and therefore that's what I am trying to offer here at Empty Hand. To be clear, though, I was ordained by Sekkei Harada Roshi in Japan, but received Dharma Transmission here in the States from Shosan Austin. With a bow, K.
I am supported only by scholarships and donations. I appreciate your help!